If you are getting married in a tropical location such as Phuket or Koh Samui in Thailand, a few simple techniques will help keep your guests cool throughout the celebrations. If you and your partner choose a destination wedding in Thailand, it is likely that one of the main things attracting you is the warm weather. Blissful blue skies, gleaming beaches and golden sunsets are just a few of the bonuses that come with a wedding in the Kingdom. However, with temperatures soaring, it is also important for the bride and groom to consider ways of keeping their guests cool and comfortable throughout the ceremony. From adorable parasols to cute Chinese fans, there's actually quite a range of creative ways to keep your wedding guests cool and hydrated at a tropical wedding. When you are hosting a wedding in a hot country like Thailand, it’s essential to keep your guests hydrated so they can enjoy your wedding celebrations without feeling weary from the heat. 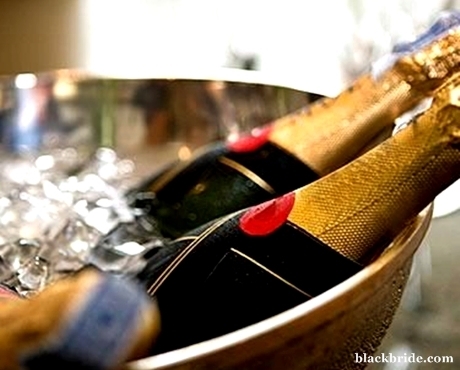 While champagne and cocktails taste great, too much alcohol dehydrates the body so it’s important for guests to have a tasty alternative. 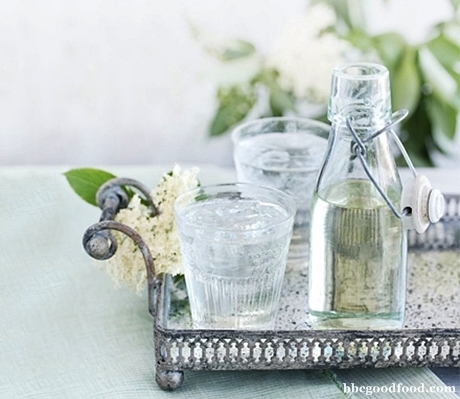 For a punch that packs a punch without the booze, lemon and elderflower is a good choice. The recipe simply calls for sugar, lemons, elderflower heads and citric acid. Serve over ice with a pretty lemon peel garnish to add the "wow" factor. For ladies who have spent hours carefully applying their makeup, the sun can be a great enemy. No-one wants their makeup to be streaming down the face before the vows are even over. To combat this problem, you can invest in a facial cooling spritz to refresh your skin and set your makeup. Many are even packed with vitamins that help protect your skin from other environmental stress. Benefit’s B. 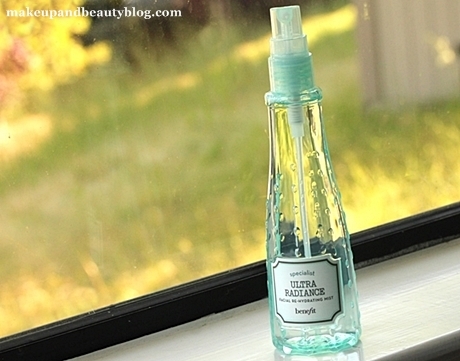 Right Ultra-Radiance Facial Rehydrating Mist is a wonderful treat on a warm afternoon. 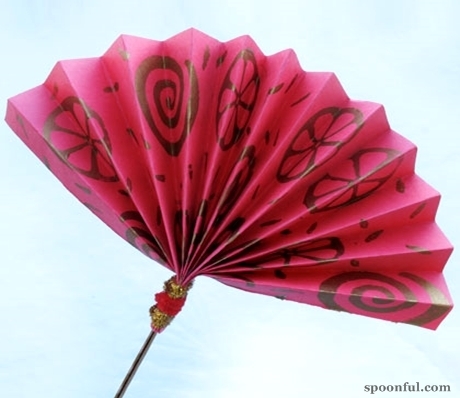 There are myriad benefits to introducing paper fans into a ‘keep cool’ wedding theme. Guests can leisurely fan themselves cool throughout the proceedings and they can even be presented as a personalized party favours. Coloured fans also make for pretty props in photographs. If you have little ones tearing around your wedding, why not set up a fan decorating table? Kids can get creative and decorate their own fans with pens, crayons and even glitter. 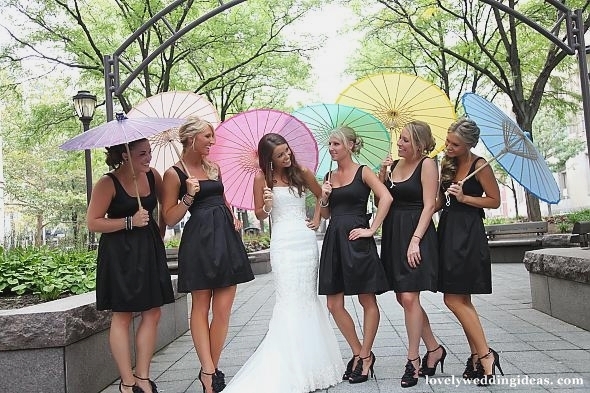 Parasols are the perfect accessory to protect wedding guests from the heat. Not only do they offer some much-needed shade from the sun, but they also serve as cool accessories for guests. With a little planning, brightly coloured parasols can even be coordinated with the wedding décor theme and be used in place of flowers. After all, they are both practical and pretty, so it’s a win-win. When the sun is at its hottest, even fans and parasols may not cut it when it comes to keeping cool – particularly if you are getting married during March or April in Thailand, which tend to be the warmest months of the year. Couples getting married within the comfortable surroundings of a private rental villa always have the cool comfort of an air-conditioned interior to turn to when temperatures are soaring. Many couples choose to have drinks and appetizers inside the villa after the ceremony, before heading back outside to celebrate once the temperatures have dropped a little closer to sunset.